​Real Madrid have made relatively few changes to their team in recent seasons, even after the departure of Cristiano Ronaldo last month, and the latest possible explanation as to why Los Blancos continue to wait is because there is only one player who could make a real difference. Real have signed goalkeeper Thibaut Courtois this summer, at last ending the long-term saga between the sticks that has existed since Iker Casillas left. But the club's only other captures have been young talents, Alvaro Odriozola and Vinicius Junior, the continuation of a transfer policy that has seen Real consciously move away from Galacticos-type signings since 2014. Speculation about a summer approach for Eden Hazard, Robert Lewandowski and other marquee names has been rife but it has been entirely that, speculation and nothing more. Meanwhile, the more sensible reports suggest that Real refuse to break the €100m barrier. But the latest gossip from Marca claims that the reason for a lack of movement is the result of a belief at the Bernabeu that Neymar is the only player Real are willing to pay big money for. 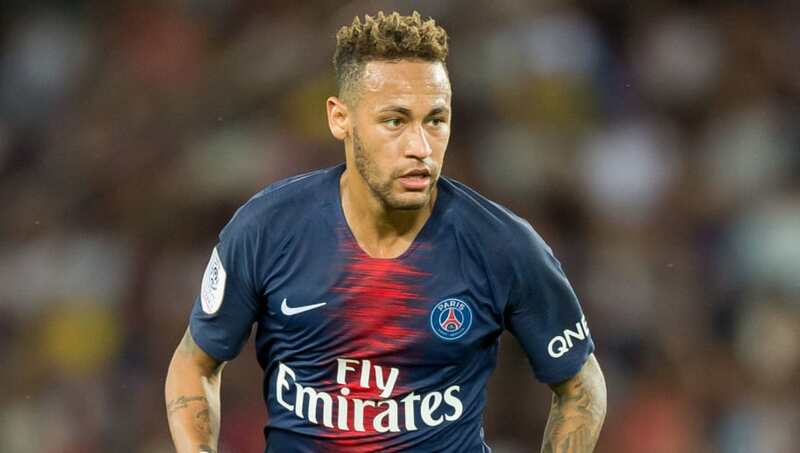 There is apparently €300m waiting to be spent on transfers, with that money earmarked for the Neymar and only Neymar if and when Paris Saint-Germain are ever willing to entertain a sale. Real are said to have looked at other forwards like Lewandowski, Timo Werner and Rodrigo, only to decide that none offer enough at the price their respective clubs were asking. Hopes of actually signed Neymar seem slim for now, but any movement in Financial Fair Play saga that has gripped the French club could present Real with their opportunity. PSG are believed to still be under a thorough audit and UEFA's appeals committee has been tipped to make a ruling later this month, before the Spanish transfer deadline. Should they need to sell top players to balance the books, Real will be ready and waiting to pounce on Neymar.